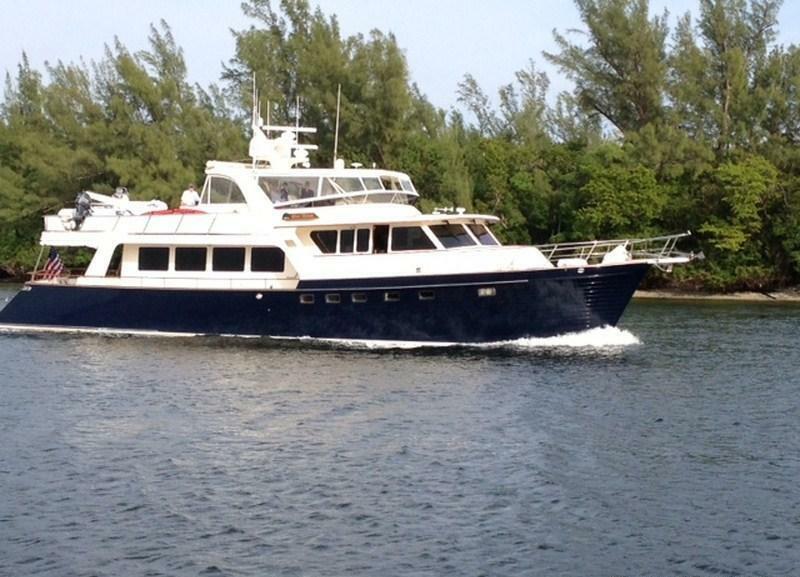 Motor yacht BLUE HERON was designed by David Marlow and built by Marlow Marine in 2005, the yacht was refitted in 2012. 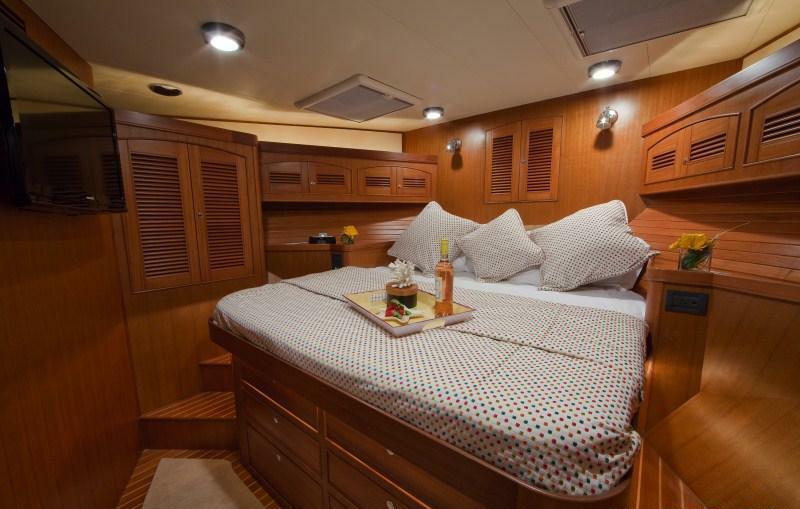 BLUE HERON is available for charters with up to 6 guests in 3 en-suite cabins. M/Y BLUE HERON measures 23.8m (78ft) and is available for charter in Florida, the Bahamas and the East Coast of the US seasonally. 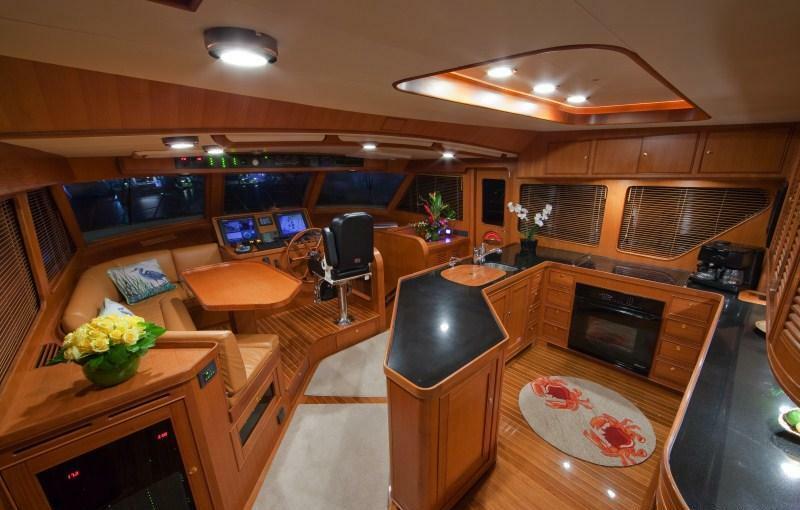 Charter yacht BLUE HERON has a light airy atmosphere with a warm neutral décor and panoramic windows, allowing ample natural light to infuse the space. The salon and dining are an open plan with the lounge area aft, offering a large sofa, coffee table, 2 occasional chairs and a full entertainment center. Forward, the formal dining table seats guests in style, perfectly chilled wines are available from the adjacent wine fridge. 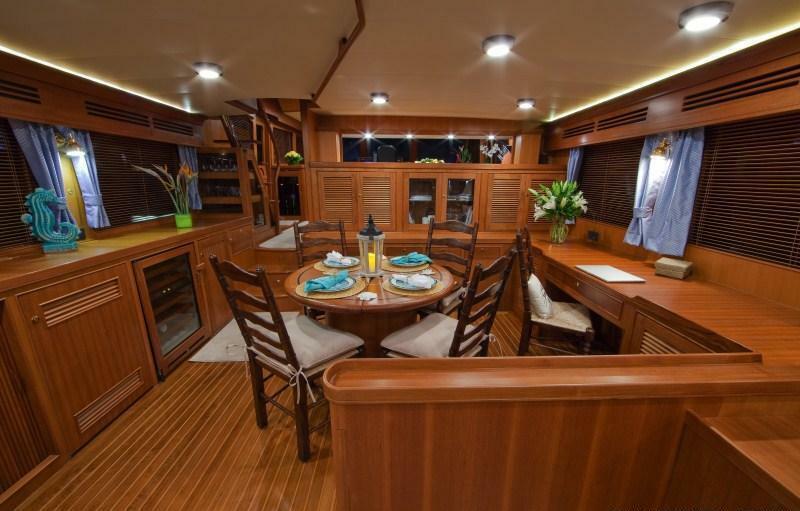 Raised and further forward is the country style galley with additional casual dining space and pilot house, the ideal area to socialize while under way. Motor yacht BLUE HERON boasts an alfresco dining option on the aft deck, wrap around main decks for easy access to the foredeck and a large upper deck with seating and clear enclosing windows making it suitable for any occasion. 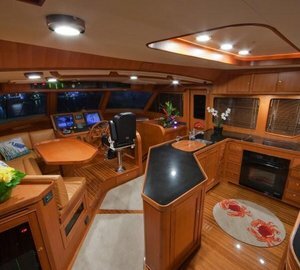 M/Y BLUE HERON is powered by 2 CAT 1550hp engines with cruising speeds of 14 knots and top speeds of 22 knots, she has a 6.1m (20ft) beam and a 1.6m (5.2ft) draft, ideal for shallower waters. 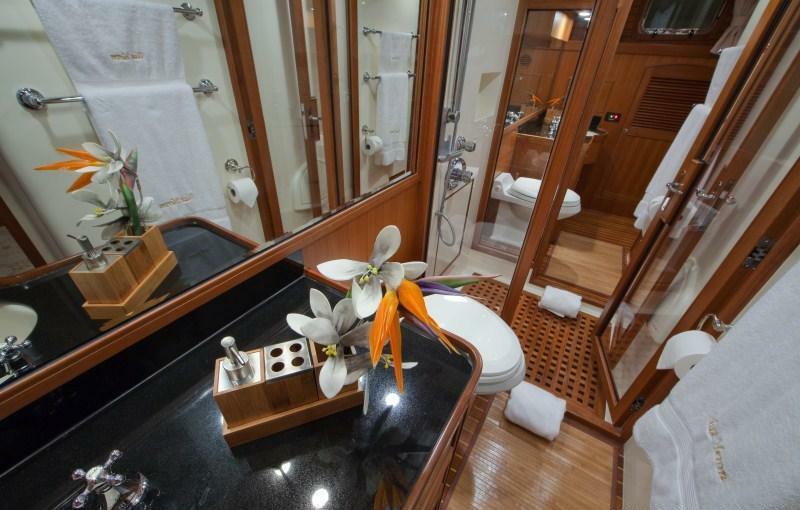 Up to 6 guests can be accommodated in 3 en-suite cabins aboard the BLUE HERON motor yacht. 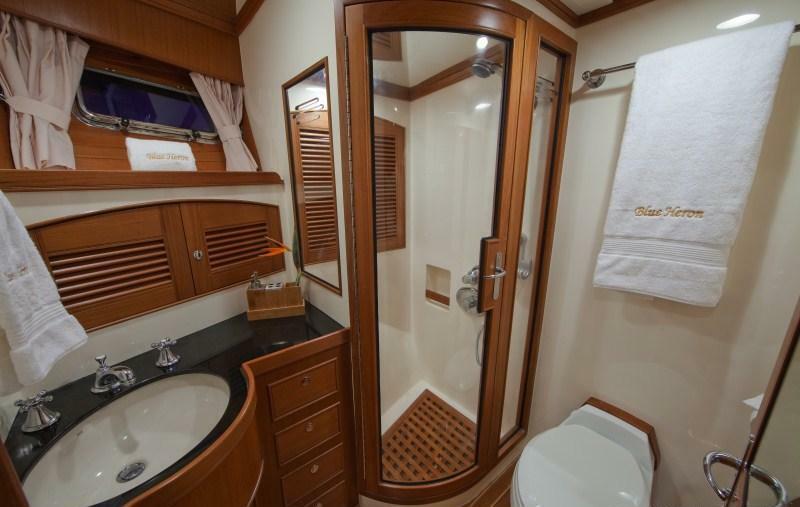 The master cabin is amidships and full beam of the yacht with a king size bed, love seat and his and hers facilities with a shared shower. 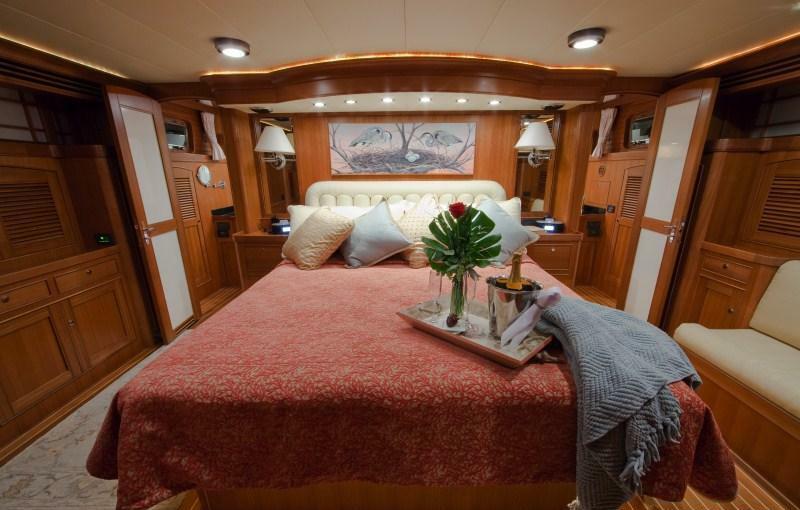 A VIP cabin is forward and full beam of the yacht with a king size bed. A further guest cabin offers 2 side by side single beds. 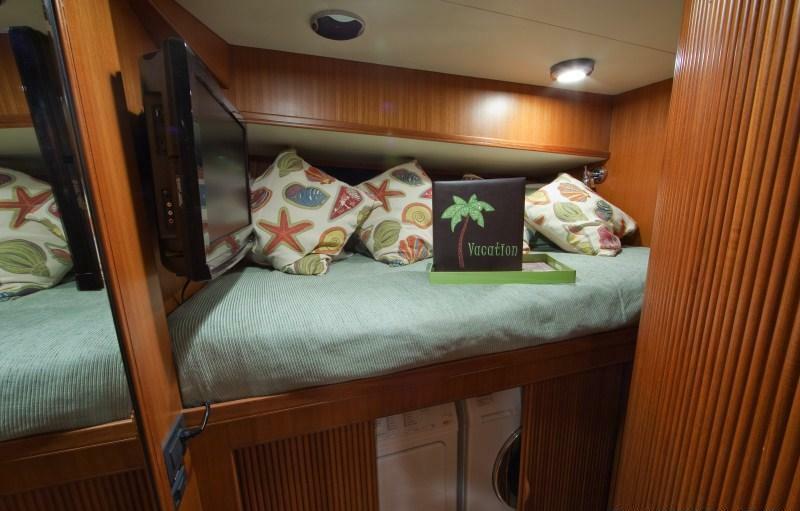 If required, a nanny nook is available adjacent to the VIP cabin, with shared facilities. 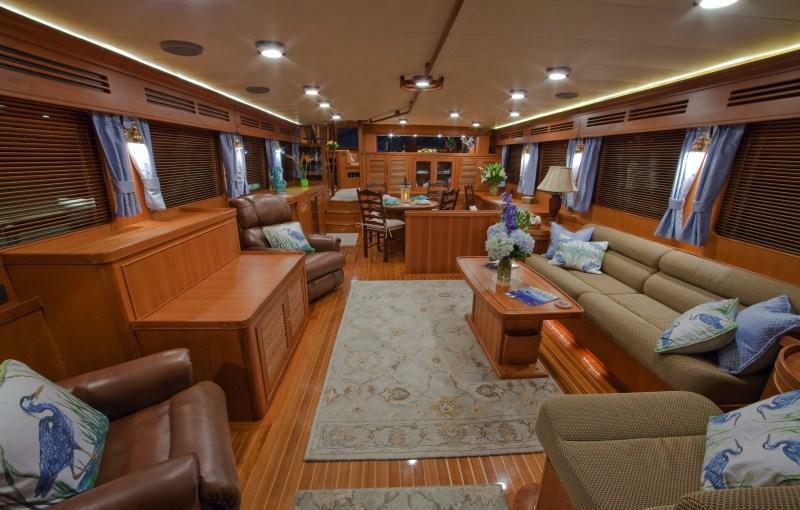 Charter yacht BLUE HERON is fitted with stabilizers for added comfort. 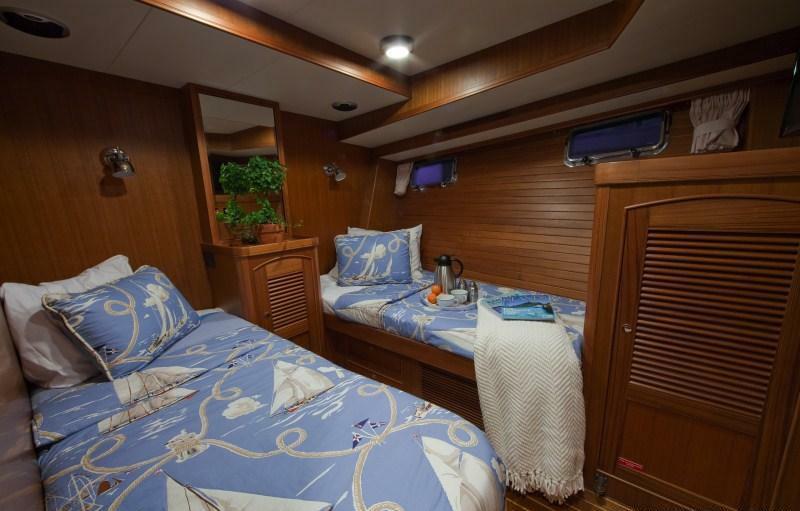 The Marlow 78 yacht BLUE HERON has the following extras and amenities: Dinghy: AB / 15ft 7in (4.7m) / 70HP, Towing ring, Snorkeling gear,2 Stand Up Paddleboards, Fishing equipment, Wakeboard, Diving by arrangement / rendezvous. Glow in the dark Bocce Ball, Beach Picnic Baskets and Blankets, Retractable Sun Awning on Flybridge, Deck shower, Voltage: 110, Swim platform, Barbeque. FEATURES iPod Dock, DVD player / Library, Blu-Ray player / Library, Local television, Satellite television, Stereo system, Nintendo Wii, Wifi and Internet, Board Games, Cell phone.